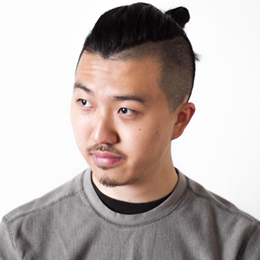 The 2016 IDSA South District Student Merit Award (SMA) winner—Elvin Chu, IDSA—landed an internship at Matter in San Francisco—even before he graduated from Georgia Tech’s newly-renamed College of Design in May 2016 with a bachelor’s degree in industrial design. Chu had stayed in touch with a former IDSA SMA winner who’s at Matter; they’d met at a previous IDSA District Design Conference. Chu’s journey to ID began in high school during a visit to Georgia Tech in Atlanta. He had his heart set on studying architecture—anticipating it would be a great fit for his arts and math background. But he realized how much potential and versatility industrial design held—and immediately switched after doing some research and watching the documentary, “Objectified.” “Everything about the profession intrigued me, and it still does today,” says Chu. He went on to secure a UX design internship at Electrolux; an ID internship at Creature Product Development; and various freelance/consulting projects. Chu won the SMA to the rousing cheers of his fellow Georgia Tech students and faculty. "Being able to share my work with everyone was such an awesome experience,” he recalls. “I attended my first IDSA conference in 2013, and was absolutely inspired by the SMAs. I made it one of my goals to represent my school when the time came." In turn, Chu wanted to inspire all the attendees. "Winning this year's SMA was icing on the cake; all the school winners showed incredibly strong work, and I'm very honored to have presented alongside them. I'm so lucky to have found what I love to do, with 100 percent support from my family, friends, peers and mentors. Many thanks to IDSA and Georgia Tech's School of Industrial Design for giving me opportunities I wouldn't find elsewhere!" Where does Chu seek motivation? “I’m typically fascinated by how other creatives in analogous fields approach and execute their craft, and try to approach my own through their lens,” he says. “As for a specific designer, I’ve always admired the work and design approach of Naoto Fukasawa. He applies a very profound understanding of ‘human,’ ‘object’ and ‘context’ to iconic, timeless forms that blend into everyday life. I keep one of his books in my work space, and it’s refreshing every time to flip through.” Chu took a page from the hospitality of Japanese culture when he designed plusminusone, a chair that can be turned into a table, tray or floor seat—making it easier for a host to welcome a guest warmly.